No matter the scale of your project, Dominion’s state certified project managers and highly qualified production crews take your project seriously. We are committed to making all of our customers, “customers for life” and specialize in the following areas of service. 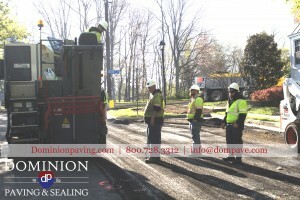 Dominion performs scheduled maintenance, restoration, emergency repairs, and a wide array of services outside the contractual sense. Our state certified project managers coordinate all aspects of each job to ensure that the proper job task sequencing is performed correctly and all phases flow smoothly. In addition, our project managers will perform inspections and pavement evaluations free of charge. We will work with you to develop budget planning and cost projections for your property. 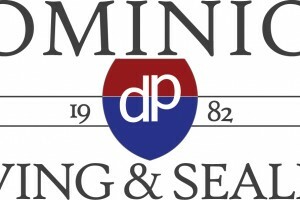 Dominion believes that a customer knowledgeable in the paving industry is a benefit. We offer annual large scale seminars to all current and prospective customers in addition to smaller, tailored seminar discussions at your place of business which includes samples, slides and discussions based on specific customer requirements. Sign up for an Evaluation/Training Seminar!